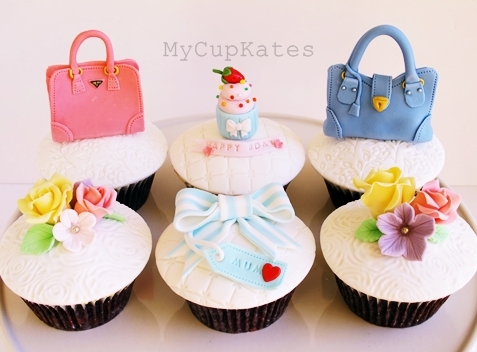 My client ordered cupcakes for her mum's birthday and her mum loves Prada bags. and am very happy with the result. 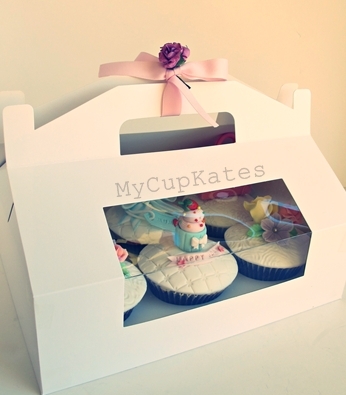 I feel very ambitious when my clients trust on cupcakes design and leave it up to me. 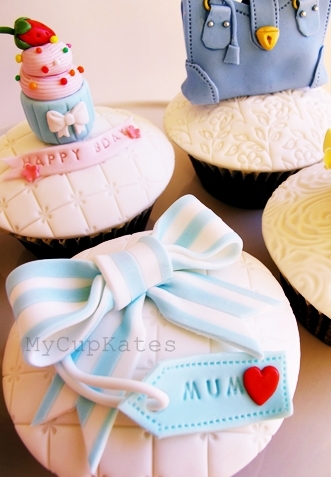 and hope that every client says "wow" when they see cupcakes. 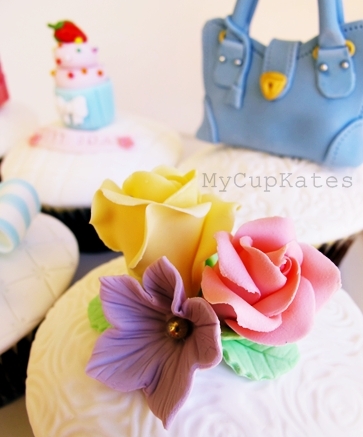 Hi Kate, love your cupcake, so beautiful. 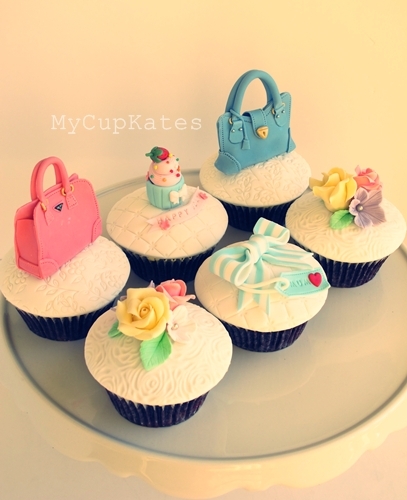 How to make the bag, did u use gum paste? Love it so much!! Thanks for your lovely comment. 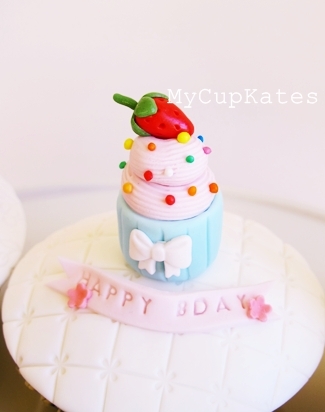 I used modelling paste which has 50% gum paste and 50% fondant. Gum paste itself works fine,too. Hope it helps.